Well, a Morton’s neuroma is kind of like that. Only this time, there’s no pebble to remove. The “pebble” is, instead, a mass of thickened tissue in the ball of your foot that painfully obstructs a nerve every time you put weight on your foot. Symptoms can vary a lot in severity, of course. A minor neuroma might be more akin to walking on a bunched-up sock. A major one, unfortunately, can be associated with sharp, burning, and significant pain. But either way, a Morton’s neuroma can pretty much drive you crazy. So the first question most of our patients ask us about their neuroma is “Will I need surgery, doctor?” After all, if the problem is inside your foot, the only way to deal with it is to cut it out and remove it, right? Seems logical. Well, the answer is actually “It depends.” It is true that many cases of Morton’s neuroma will ultimately need a surgical fix. It is also true that there is no way to “naturally” decrease the size or thickness of the neuroma once it’s there. Surgery is the only way to remove it. However, this does not mean that surgery is always necessary! We’ll need to do a little bit more digging first. The thing you have to remember with a neuroma is that the pain is really the only concern. The thickened tissue doesn’t pose any other risks to your health. There aren’t even any outwardly visible signs of the condition. So really, the main goal of any treatment is simply to take the pain away and allow you to stand, work, and play at full speed without discomfort. And quite often, conservative treatments can help you achieve this goal. 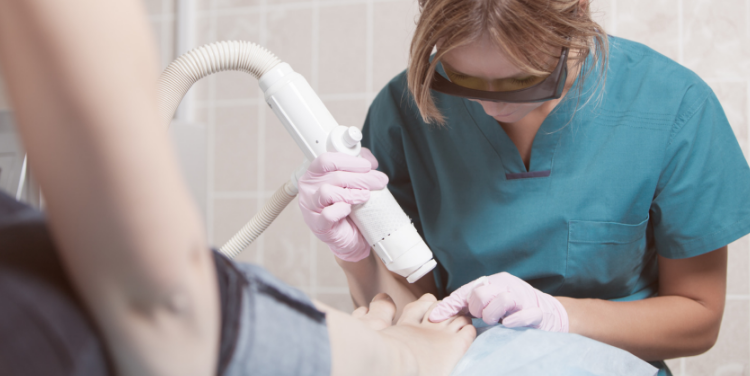 In fact, in most scenarios we will recommend you thoroughly attempt conservative treatments first, before moving on to more aggressive treatments. After all, you can always get surgery later if you need it. Simply switching to a better pair of shoes. You’re going to want something with a nice and wide toe box that won’t pinch your toes, good arch support, excellent cushioning, and a low heel that won’t throw all your body weight to the ball of your foot. Getting a pair of shoe inserts. 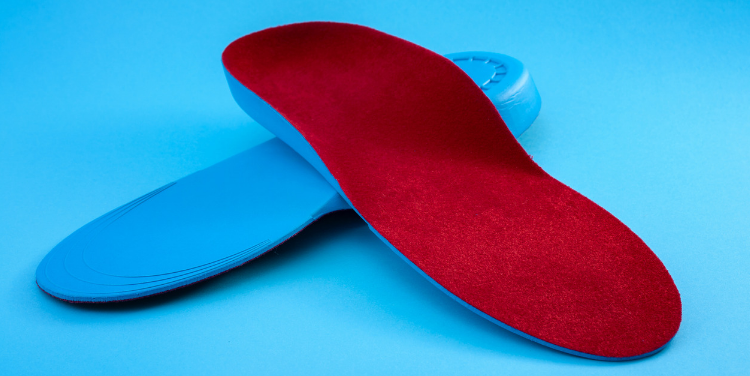 Dr. Danciger can match you with appropriate medical grade arch supports (which is much better than you picking gel inserts off the shelf), metatarsal padding or, if necessary, custom-made orthotics that re-balance your foot biomechanics and keep pressure away from your painful neuroma. Modifying your activities. It may be the case that your neuroma only causes discomfort when you engage in certain activities in a certain way, or for a certain length of time. But taking regular breaks, changing up your exercise routine, or even making home or workplace modifications (such as placing mats where you normally stand) may alleviate the discomfort. Taking over-the-counter medications, such as ibuprofen, for minor aches and pains related to your neuroma. Please use these only as directed, and only if approved for use by your doctor. Getting a steroid injection. These injections often provide long-term pain and inflammation relief for the area surrounding the neuroma. In fact, long-acting cortisone can remain in your system for several weeks to several months. Getting laser therapy. This incredible therapeutic technology can significantly reduce painful symptoms from irritated tissues, without any injections, medications, or side effects. For many people, some combination of the above strategies are more than sufficient to relieve their pain and allow them to return to their normal activities. A severe neuroma that has not responding to conservative therapies and keeps you from engaging in activities that are very important to you will usually require surgery. However, not to worry! Dr. Danciger has been performing neuroma surgeries for many years, and the results are typically excellent. Nerve issues and surgeries are, in fact, one of our specialties. Decompression. In this approach, Dr. Danciger will cut (or “release”) some of the structures that surround the area of thickened tissue—ligaments in the area, for example. This is designed to relieve the pressure on the nerve while posing the minimum amount of risk to the nerve. Removing the nerve. Simply removing the affected nerve is a swift, easy, and reliable way to ease the pain of a neuroma. Although surgery is highly successful, the downside is that you may have some degree of permanent numbness in the adjacent toes. Whenever possible, we’ll opt for decompression. However, serious neuromas may require removing the nerve. So, what should you expect from the surgery itself? In either case, surgery is almost always performed outpatient, saving you the cost and hassle of a hospital stay! Only local anesthesia is needed, though we can “put you to sleep” if that’s what you’d prefer. Most of the time, the main incision is made across the top of the foot. The main advantage of this is that it allows you to return to weight bearing immediately after the procedure. After surgery, you’ll most likely need to wear a protective shoe and take it easy for a couple of weeks to allow the incision site to heal. You should be able to return to work, school, and normal activities pretty much right away (for a top-of-foot incision), but rigorous exercise and swimming might have to wait. On the other hand, if we have to make the incision across the bottom of the foot, you’ll have to avoid weight bearing for a couple of weeks. Still, we think that’s a pretty small price to pay for lasting, long-term relief! As you can see, the more serious your neuroma is, the more likely we’ll have to escalate to more aggressive treatments. See us early enough, and we’ll probably be able to help you avoid surgery entirely. Wait a little bit longer, and we might need to perform a decompression. Drag your feet long enough, and removing the nerve may be your only remaining option. So don’t be shy! If you feel like there’s a pebble in your shoe every time you walk, give our team in Palm Desert a call right away. You can reach our office at (760) 568-0108.